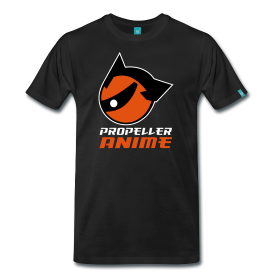 Propeller Anime: Propeller Anime's Holiday Gift Guide 2012! The post-apocalyptic fantasy manga that spawned Studio Ghibli's first film has recently been released by Viz Media in a tremendous deluxe box set featuring two hardcover volumes with interior color pages and a bonus poster. Written and illustrated by the legendary Hayao Miyazaki, this story goes far beyond the film, with the final chapter released about a decade after it's theatrical adaption premiered. The story is about a princess, one with nature and the wind(! ), who must struggle to create peace between kingdoms at war over the last of the world's precious natural resources. With Funimation acquiring much of Geneon's releases, getting all things Black Lagoon was a no-brainer. Featuring the second most-kickass lady of anime(according to our recent poll) and lots of John Woo-inspired double-fisted gunplay, this anime collection will not disappoint any hot-blooded anime fan. 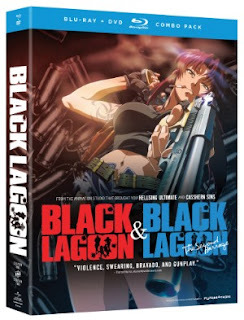 Black Lagoon is about a group of modern-day pirates that take on smuggling missions that lead to all-out violence, explosions, nautical battles, and lots of shooting. Did I mention that Revy is a foul-mouthed psychopath who has no problem gunning down anyone who crosses her? With Anime Orlando Inc. in business and doing a model build day on the second Saturday of every month at their store, I decided to get back into the hobby after a decade-plus absence. Not really knowing how to get back in, I went with a real grade Zaku that was too complicated for my first time back. 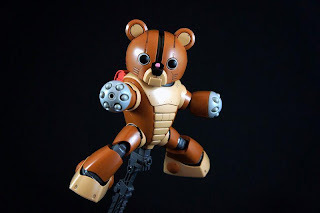 However, this high-grade Bearrguy caught my eye and it was very easy to put together. 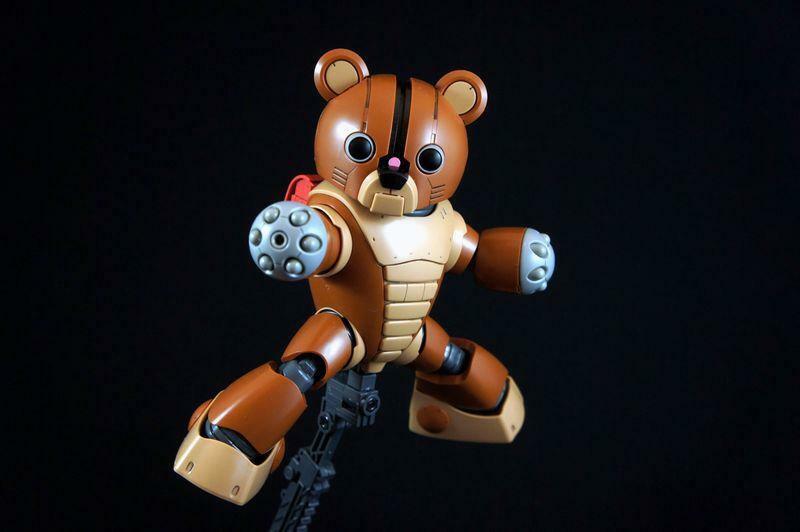 I have never seen Gunpla Builders, but when you see this robotic bear with a jet pack and guns, how could you not want to build it?! Highly recommended for beginning or returning model kit builders and anyone who wants something fun in their collection. 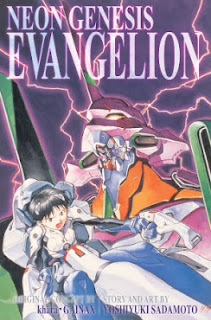 Viz Media is re-releasing the Neon Genesis Evangelion manga as 3 in 1 omnibus sets . 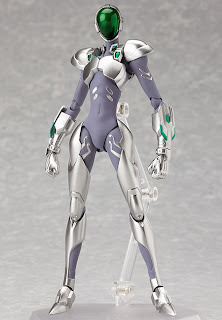 This collection is a must-buy for your beloved Eva fan or someone who has not experienced the brink of Third Impact. Also, don't forget to keep an eye out for volume #13 of the series. The final chapters of the Evangelion manga series are finally approaching! Fans of Accel World will probably love this sleek figma for Silver Crow. It is stable if left alone but it also has positionable joints to to simulate its stances and moves from the anime. Plus, the Sliver Crow's wings can be attached to the figure for the full Silver Crow experience! Sumiregawa Nenene is an author who hasn't published a book in years. However, at a book signing in Hong Kong, things go fascinatingly awry. When there are attacks on Nenene's life, her only line of defense are three sisters from a detective agency- who can all use paper as weapons, tools, and even transportation. But can their powers protect Nenene from the mysterious forces that not only want her, but all the precious books of the world...? 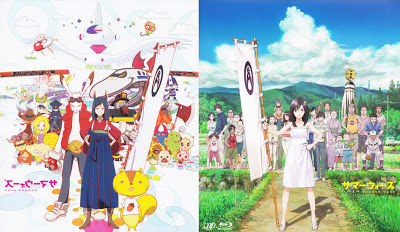 If you include the wonderful transitions in animation throughout the series, an excellent Japanese voice cast, and a spot in top 10 anime soundtracks to date, R.O.D is a no-brainer for good quality and more open-minded anime watchers out there. 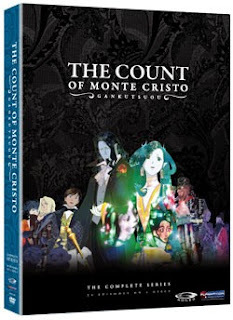 Including both the TV series and OVA with an awesome package and new special price cut on RightStuf, for $99 this set is a steal! While not strictly anime, this figure looks to be a great addition to any Legend of Zelda fan's collection. 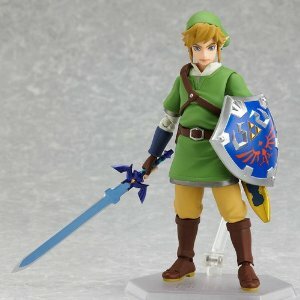 Being one of the few articulated Link figures around, he's sure to go fast at most retailers carrying him. So be sure to spend your rupees quickly on him if you want to add him to your collection. A gorgeous retelling of Alexander Dumas literary work, The Count of Monte Cristo. This series focuses more on Albert as he meets the Count for the first time and is involved in the dark past surrounding the Count and those close to him. Gonzo outdoes themselves with this breathtakingly beautiful show. 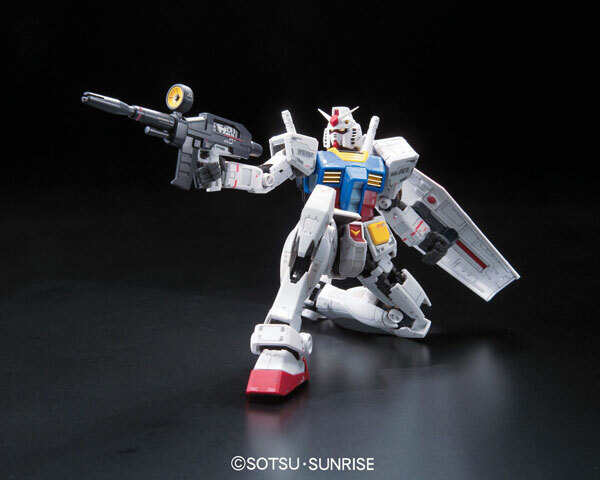 This real grade model kit features the original Gundam from Yoshiyuki Tomino's Mobile Suit Gundam. With great articulation provided by the inner skeleton and some great accessories, such as a transforming core fighter module and most of the weapons featured in the series, this kit will feel at home in any Gundam fan's collection. Who doesn’t like movies about Summer at Christmas time!? 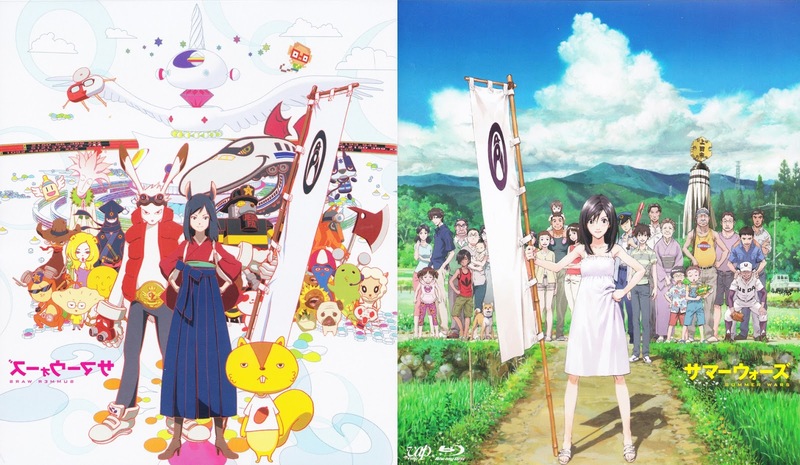 Summer Wars, directed by Mamoru Hosoda, is a sci-fi movie that mixes in some feel-good family values and just a bit of romance. When the world is completely run by a single online system that manages all the world’s finances, medical services and pretty much anything you can think of, what happens when that system gets a virus with the ability to learn? It’s going to take a family with boundless courage and one of the most badass grandmothers that ever lived to save the world! It’s seriously the perfect film to cuddle up next to the Christmas fire with your loved ones and watch away! 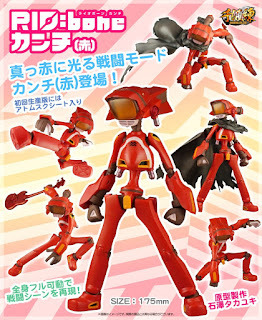 The RIO:bone Lord Canti Red Variant: an item so rare that the only thing rarer is the meat of a freshly dead bovine (and the original blue version of the figure). No need to rely on a Christmas miracle in order to find it though, perhaps a Google search or a trip to eBay will do. 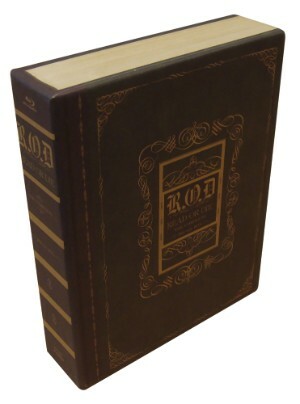 The price tag may be a bit scary ranging anywhere from $85 to $120 depending on where you’re able to find it, but this is guaranteed to be a top of the line figure. 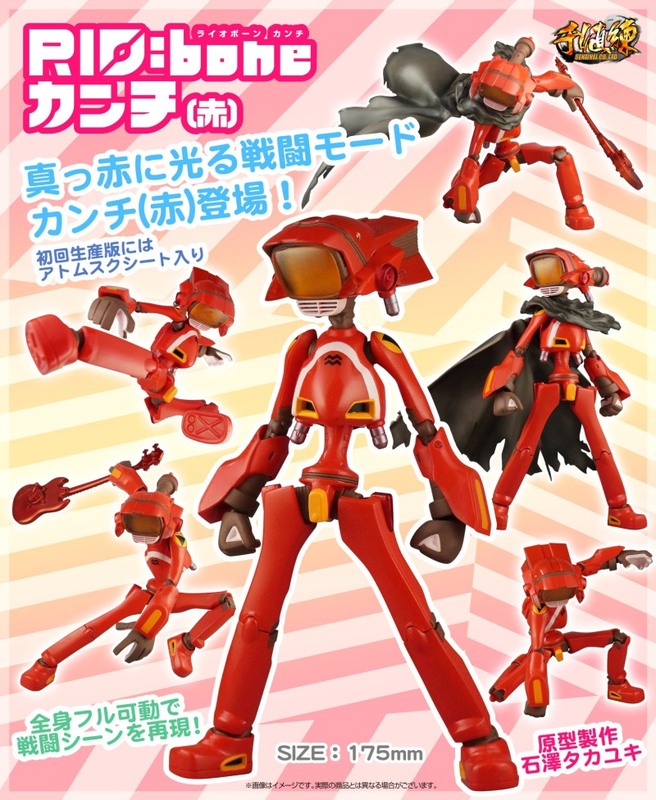 Standing at 12 inches with 12 points of pose-able articulation, Gibson SG bass guitar and cape that would make a FLCL- hell ANY collector of anime merch -squeal like a Japanese schoolgirl meeting a real, live Pokémon! Get your nerdy significant other the closest thing to real cat ears you’re ever gonna get, less skinning your pet. 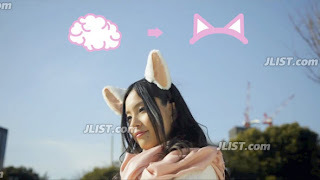 The U.S. Necomimi Nuriwear Cat Ears read your brainwaves, which make the ears react accordingly to the mood you’re transmitting. It’s SO KAWAII NYAN!!!! X3 (Careful, your weeaboo is showing.) Have them wear these first on Christmas morning, then you can find out how they really feel about their other gifts! Chi Wang, Owner of Anime Orlando Inc.
Cups and mugs of all kinds! Cups and mugs are good presents since they are functional and can also be displayed as decorations or as collectible items. Anime Orlando Inc. sells many from different series. Snacks from Japan make for fantastic stocking-stuffers! It's not just Pocky, but there is also Hello Panda, Yam Yams, and more! Not only that, Anime Orlando Inc. also sells a variety of soft drink beverages from Japan that would also make for some appreciated gifts! 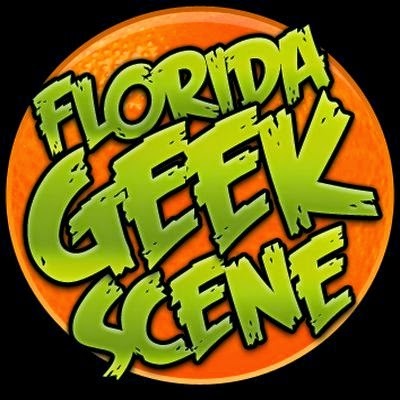 Gift Cards are now at Anime Orlando Inc. If you still can't figure out what to get as a present, Anime Orlando Inc. now sells gift cards! 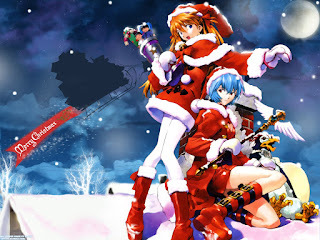 Store credit can be set at any amount, so when given as a present to someone who likes anime, they can come to the shop and pick out what they want. Thank you Coty, Roberto, Jonathan, Andrew, and Chi for giving some great suggestions for holiday gifts this year! We hope you find some great stuff for those you care about! Also, if you have any suggestions yourself, please post them in the comments section!